Heartland Bank remains interested in acquiring ANZ's finance company UDC, should the opportunity arise. "As we've said previously and continue [to], we are interested in UDC and we continue to be as interested as we have been," David Mackrell, Heartland's chief financial officer, told interest.co.nz. "[But] we're not aware of any [sales] process at the moment, and I guess we sit here waiting for that process in the expectation that it will emerge," Mackrell added. ANZ struck a deal to sell UDC to opaque Chinese conglomerate HNA Group for NZ$660 million in January last year. However, in December the Overseas Investment Office blocked the deal because it couldn't work out who owns HNA. ANZ says it’ll continue to assess its strategic options on the future of UDC, but there's no immediate requirement to do anything. Heartland had expressed interest in UDC prior to the announcement of the HNA deal and remains keen. 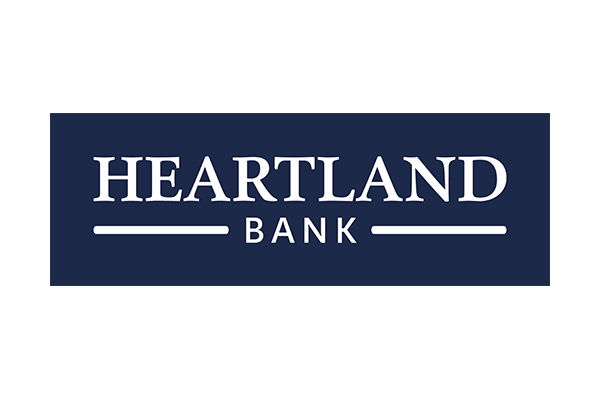 Heartland, which posted a 7% rise in interim profit on Tuesday to $31.1 million, had total assets of $4.3 billion at December 31. UDC posted $61.6 million September year profit, with total assets of $2.98 billion. Asked how Heartland would fund an acquisition of a similar sized business like UDC, Mackrell said Heartland is confident it could make it work if given the opportunity, acknowledging a capital raise would be required. "So we wait with interest to see what process emerges and then we'll go ahead and make sure we give it our best shot," said Mackrell. "Undoubtedly we would have to add to our capital in order to make an acquisition of that size." Heartland was formed through the merger of Marac Finance, CBS Canterbury and the Southern Cross Building Society in January 2011. It gained banking registration from the Reserve Bank in December 2012. Heartland targets niche markets such as reverse mortgages, vehicle lending and livestock finance where bigger banks are not aggressively competing. It also lends money through peer-to-peer lender Harmoney. The 80 year-old UDC finances and leases plant, vehicles and equipment, mainly to small and medium sized businesses across NZ. I think HBL and UDC would be a great merger as it would keep UDC in Kiwi hands. I would definitely be willing to be contribute to the capital raise. Disclosure: I am a (very satisfied) HBL shareholder. Were you happy when Intratil bought Shell petrol retailing and formed Z Energy? Do you support them? because they are NZ-owned? Only asking because that was the trigger for higher petrol company margins in New Zealand. You prepared that NZ-owned usually results in higher prices? OK if you are a shareholder I suppose. That's an interesting Q. I like to support NZ manufacturers / makers / artisans but really when you look at a business like Z its just a middle man. ie I am not impressed with, a company that designs / manages in NZ but manufacturers in China this isnt a business model I feel obliged to try and support. Same with say Mitre10 v Bunnings I do not feel I need to support "NZ owned" when their goods are mostly made abroad and shipped in and I especially dont like it if I am taken advantage of over it. DC - Would you have preferred that the Chinese HNA purchased UDC? haven't looked at udc accounts, but suspect a component of mum and pop investors have jumped ship, to either ANZ bank, or other banks. with the loss of goodwill, acquiring UDC just got a whole lot more expensive. Shareholder in HBL from the start thanks to CBS. Pleased with yesterdays results although could do better. I personally don't care where the talent comes from provided they are good at what they do. Why not just put Kiwi or NZer or just put emerging talent. Slide 17 is code for the desire to build iwi business. If thats the case then i hope TAINUI are reading.They have plenty.